Having a vintage themed hen night? These lovely Vintage Paper Hanging Lanterns are the perfect decoration for any retro tea party, and are sure to impress your guests! The accordion lanterns unfold into spherical decorations. Simply tie them with the included ribbon and hang them up. 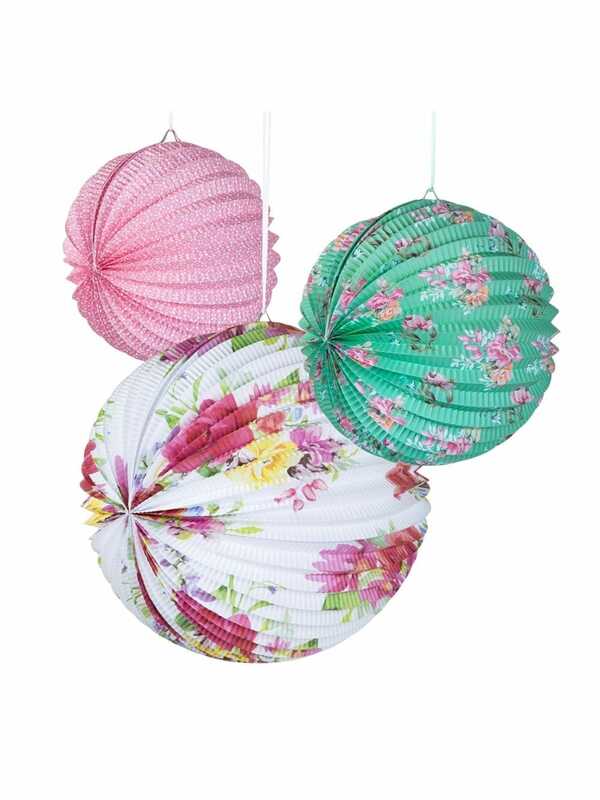 The pack contains three lanterns of different sizes, in pink, white and green pastel floral patterns. Make sure you also check out our matching vintage Lampshade Bunting, Paper Plates, Paper Tablecloth and Paper Cups; the whole range looks gorgeous together!